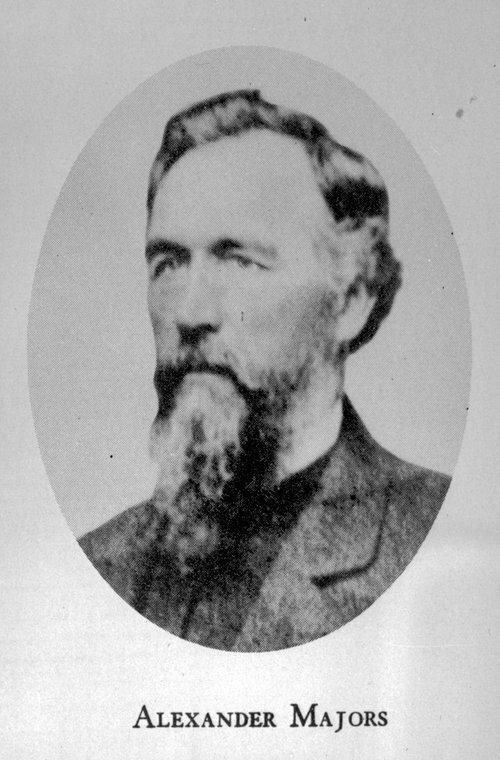 Photo of Alexander Majors, who was involved in the freighting business and formed a partnership with William H. Russell. They established headquarters in Leavenworth, Kansas, where they transported supplies to Forts Laramie and Kearny. Later, William B. Waddell joined their firm and it became Russell, Majors and Waddell. They were known as the largest freight contractors for the government in the West.